For all you non-sewers (like me) this is a very simple, but adorable project. It literally just consists of sewing strips of your favorite coordinating ribbon down the front 2 sides of white burp cloths. 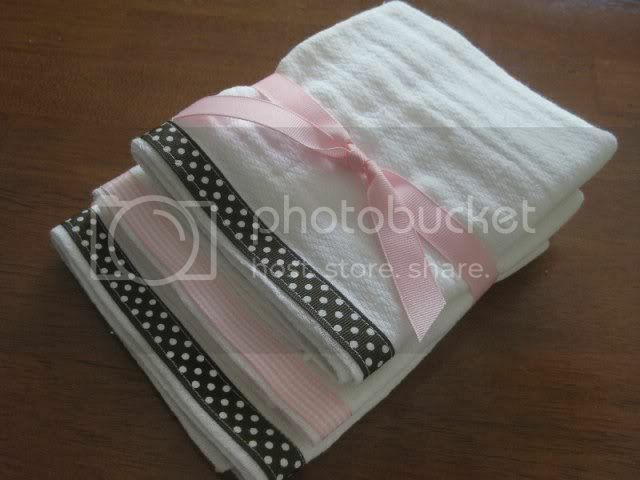 For the girls, I chose the pink gingham and brown dot ribbon, and for the boys a blue stripe and the same brown dot. If you can sew a straight line, you can do this project!! Um, what if you can't sew a straight line? I wonder if I can make a meandering line look intentional….? Cute! This would make a great baby gift! What type of burp cloth did you use? 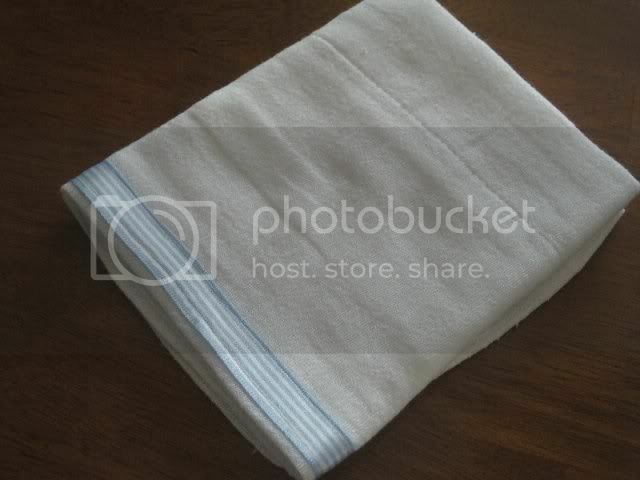 Also, where did you get your flour sack dish towels? So cute!!! Thanks for sharing!